The Customize Windows > Computer and Internet > Hardware > Tablet or Netbook : Which one to Buy? 2010 is still one of those years when technology takes a turn with advanced and powerful products that change the concept of electronic entertainment. In 2009 more netbook (ultra) sold than conventional laptops, because on one hand the price was considerably smaller, and the other, they are very compact devices running Microsoft Windows 7, sufficient enough to perform the basic tasks of any Internet user. Previous year, a new concept called the Tablet PC came to the computer world. When we talk about Tablet PC, we refer to a computer that lacks a keyboard, folding screen that is usually very thin. The arrival to market Tablets as Apple iPad , the upcoming and already selling Windows 7 enabled HP Slate and other models, is changing the trend of buying from users, because since they started showing these devices, sales have dropped netbook. Buy a tablet or netbook? As we always say, the first thing to consider when opting for a product is to know the use we are going to do with it. We must keep in mind if we go to work (taking notes, working with images) or just want to be near a computer to allow us to surf the net, read your mail, change the state of our social networks we need a computer that provides the mobility. In terms of hardware, the difference between a netbook and a tablet are really small. 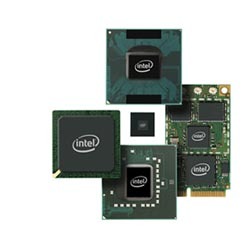 The tablet has used virtually the same components as a netbook processors between 1 and 1.6 GHz, 1 GB of RAM. Therefore, the power is not an argument may be considered. However, we can focus our attention on other concepts such as portability, the size. In terms of dimensions, Tablet presented so far are actually more compact and lighter than any netbook. The elimination of the keyboard, battery type, the cooling system, the absence of physical storage disks, all these components make a tablet is much more comfortable to wear, more portable, less cumbersome and makes it very easy to read eBooks. On the other hand, it is easy on a notebook to perform tasks that are difficult to perform in a Tablet: write fairly well any document, launch games with a traditional keyboard control, the mechanical tactile feel of the keys to write (it is more important than seems), working with applications designed for desktop and conventional notebook computers. In one way or another, buy a notebook or tablet is a decision that responds to one type of use, leisure. Finally, we could talk about the price difference between a notebook and a Tablet. To date, we could say that any netbook is cheaper than a Tablet. At this point, we must take into account various parameters such as the technology required to compact tablet design or novelty (it is always more expensive in the beginning). In conclusion, we could say that in terms of entertainment and having in mind that we want a portable Windows 7 mobile PC, the ideal choice would be to buy a Tablet PC. On the other hand, we must bear in mind that currently there is very little variety in the latter and that technology has to evolve further, so would recommend waiting a bit to see new models and brands. Articles Related to Tablet or Netbook : Which one to Buy? Gaming Computer, Gaming Laptop and Gaming Rig Setup needs possibly the highest configuration of computer for graphics intense games to play ergonomically. 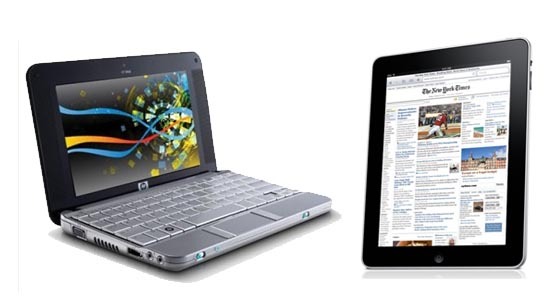 Title: Tablet or Netbook : Which one to Buy? Cite this article as: Abhishek Ghosh, "Tablet or Netbook : Which one to Buy?," in The Customize Windows, December 28, 2010, April 21, 2019, https://thecustomizewindows.com/2010/12/tablet-or-netbook-which-one-to-buy/.